Details: From vehicles recently delivered to a couple that had not got that far yet. 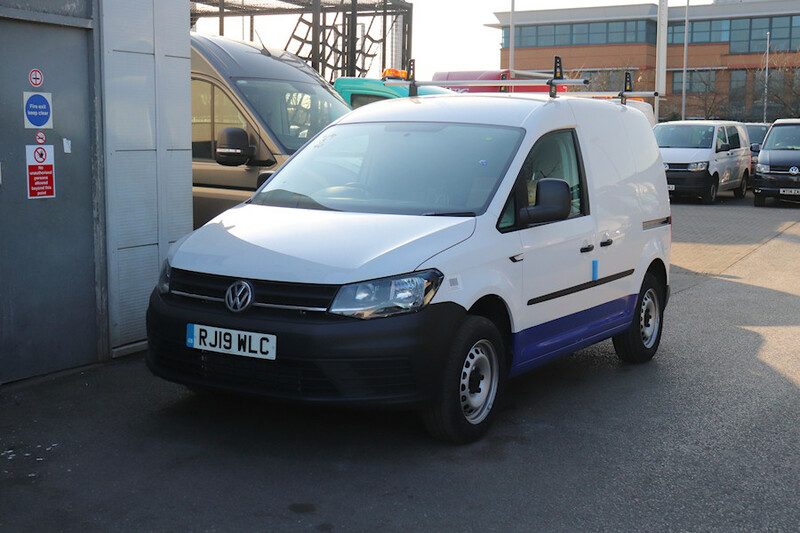 Seen at the Cordwallis VW dealership in Bedfont on 25th March 2019 was RJ19WLC, a VW Caddy van. As normal, the blue skirt had been applied here.